For this month’s New Perspectives tour of “The Keeper,” we will investigate how the act of collecting and preserving objects or images could be considered an act of transformation, rather than an attempt at static preservation. 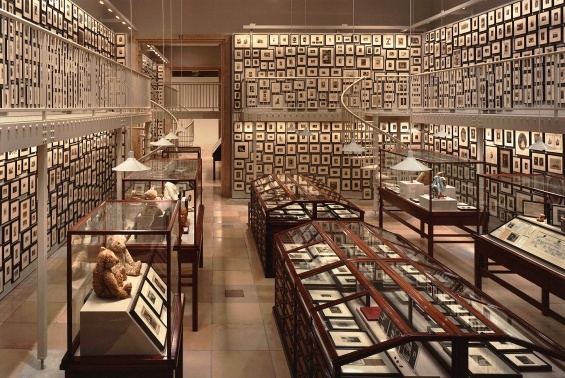 While looking closely at Maurice Chehab’s traumatized artifacts from the National Museum of Beirut, Yuji Agematsu’s meticulous microcosms of New York City trash, and Ydessa Hendeles’ Partners (The Teddy Bear Project), we will discuss how these collections allow for metamorphosis by transforming assumptions of value, history, time, and personal and cultural meaning. “The Keeper” is made possible by the lead support of the International Leadership Council of the New Museum. Generous funding is provided by Elham and Tony Salamé and W. Bruce C. Bailey, with additional support provided by Vincent Tangredi and the Toby Devan Lewis Emerging Artists Exhibitions Fund.